We often get asked by couples how much photography coverage they need for their wedding day. It's easy enough to figure out how long you need for the venue or what time to serve dinner, but photography can be a bit of a moving target. You know you want to capture the amazing special moments throughout the day, but how do you create the photographer timeline to accomplish that? We've thought about this a lot over the years when talking with our couples and we hope this post can guide you in determining how much photography coverage you need when planning your wedding day. The most important rule for your timeline is that it's ultimately about what's important to you and what you want to have documented. This varies for every couple. Here, we would like to give you some insight into how long photographers typically need to capture specific parts of the day to help you understand and make decisions for your timeline. We start by discussing the beginning of the day. Our start times vary quite a bit for weddings. The first question to consider is: do you want to document the getting ready process? This is one of our favorite parts of wedding days because there's this incredible fusion of emotions with all of the nervous excitement, and couples are spending time with the family and friends closest to them. As storytellers, this is so much fun! But, back to the important question: when do you need your wedding photographers to start? Most brides get ready for hours, especially if they have a bridesmaids getting ready with them. Hair, makeup, flowers, getting dressed... this is sometimes a four to six hour event. There's a good chance you don't want or need that entire time documented, and there are a few things to consider. First, most women are not crazy about being photographed before they get their hair and makeup done. Second, the bride usually gets her hair and makeup done last. For a typical wedding, a good general rule is to have your photographer show up about 60 to 90 minutes before you want to be finished getting ready and move on to the next part of the day. Although, PLEASE assume buffer time for hair and makeup because it rarely finishes on time! Also, we spend the majority of getting ready time documenting honest moments of people as opposed to staged details. If we’re off photographing flat lays of invitations or the dress and shoes then we’re likely missing moments of you interacting with your closest friends and family. If detail shots are important to you then we can definitely photograph these, but you might want to add some extra time in to make sure that there’s still a lot of time to just focus on documenting people! There are of course exceptions, and we ultimately care about what's important to each couple. We've had weddings where getting ready started much earlier for unique events taking place. 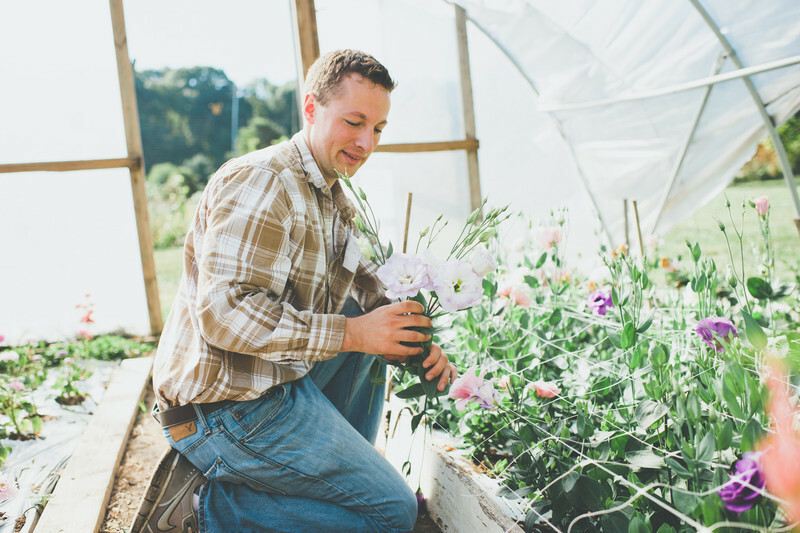 We've documented grooms leaving early in the morning to hand pick wild flowers to be used for the ceremony. We've documented all of the women in the bride's family carrying out a multi-generation tradition of having bacon and ice cream for breakfast. We've documented couples helping setup the venue themselves before moving on to getting ready. We've also documented guys playing laser tag and football. If you have an event before the getting ready process that you want to remember then definitely plan your start time around that! Next, let's talk about the middle of the day and how to factor portrait time and reception details into a photography timeline that could expand or contract your overall schedule. We always recommend a minimum of 30 minutes for couple portraits. Sometimes we do couple portraits at multiple times such as first look and then sunset. Sometimes they are at all once. Our recommendation is 30-60 minutes total. If portraits involve traveling to different sites then make sure to factor travel time in separately and account for traffic too. If you want to ensure that you get the full allotted time for couple portraits PLEASE consider doing a First Look. It’s much easier to control the timeline before the ceremony, and we also find it’s much more relaxing for the couple. Most of our couples want a handful of formal portraits for bridal party and family/extended family. These are the images that mom's and grandmothers LOVE. And in all honesty, they will probably mean a lot to you too. We know you and your guests want to move on to the cocktail hour or the next part of the day so preparation is the key to keeping it efficient and quick. It will go quicker if you prepare the list of combinations ahead of time, and also inform those guests where and when they need to be. Timeline for this greatly depends on the number of combinations and size of the group photos. More combinations = more time, and larger groups = more setup time. To keep it simple for planning, most wedding formal portraits take between 15-30 minutes depending on the above factors if you're prepared. They usually happen shortly before the ceremony or immediately after since all the guests are in the same place. Did you spend a lot of time or investment in the details and decor of your wedding reception? If so we highly recommend doing a First Look so that we are free during the cocktail hour. It's almost impossible to photograph reception details once the guests come into the room for dinner after the cocktail hour. 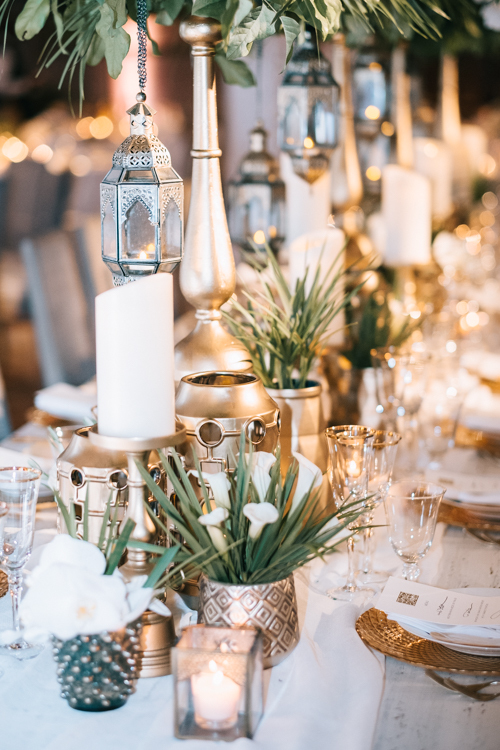 We recommend making room for about 10-30 minutes prior to the guests being seated for dinner (depending on the size of the venue and amount of details to photograph). This will allow for time to capture the table settings, room decor, the cake and any other details that you poured time and energy into. One of us will probably stay focused on capturing people during the cocktail hour while the other one handles details so we can still prioritize documenting your people. Now, let's jump to the end of the day! Do you have a big ending to the reception? (Sparkler exit, sending floating lanterns into the night sky, etc). If so, then you probably want your photographer to stay until whatever time the reception ends and capture that. Easy decision. We've found that most of the big traditions during the reception happen in the first half such as the bridal party entrance, toasts, first dances, and cake cutting. On average, a good general rule is to allow for at least 60-90 minutes of photography coverage after the dancing starts to get a great variety for the party images. For example, if you expect dancing to start at 8pm then have your photographers stay until 9 or 9:30 as the end of their coverage. Everything else from a photography perspective during the day is documenting and journalism, and your photographers should be able to flow with the day. We hope this gives you a better idea in deciding what's important to your schedule and figuring out how many hours to book your photographer. Happy planning!